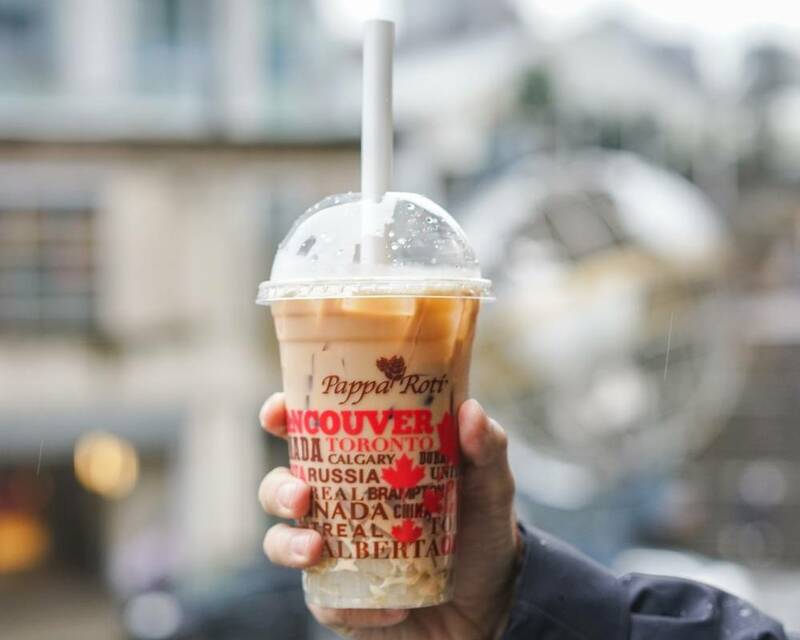 Malaysian coffee bun chain PappaRoti is continuing its roll out across Canada—and this week marks the grand openings of two new Lower Mainland locations. A Chinatown spot, at 103–193 Keefer Place, had a soft opening in April but will hold its grand opening event tomorrow (December 8) from 3 to 7 p.m. This location is 1,023 square feet with a seating capacity of 16 people. The Coquitlam location, at 100–1196 Pinetree Way, is double that size, at 2,000 square feet with seating for up to 50 people. This will be its biggest spot so far, and will also function as its test kitchen. It originally opened back in July but will have its grand opening on Saturday (December 9) from 10 a.m. to 4 p.m.
At both grand opening events, attendees will be able to sample various offerings, including karak tea. There’ll also be a chance to try out two new potential treats: Japanese cheese tarts and—for fanatics of the famous Southeast Asian fruit—durian buns. If customer demand is strong enough, they’ll be adding these items to their menus. To coincide with the grand openings, a new menu will also be launched at all three Lower Mainland locations. The new sandwich lineup (all made with organic bread) will include butter chicken; chicken, apple, and brie; avocado and egg; tuna melt; smoked turkey and brie; roast beef and cheddar; and Italian meatball. Joining their selection of soups and salads will be the Middle Eastern spiced flatbread zataar. Karak tea will also be available in an iced version with coconut jelly at all three Metro Vancouver locations. Each month, a new coffee bun (also known as the roti bun) will be featured, with inventive flavours such as a Canadian maple bacon version or a campfire-themed marshmellow bun. As for future spots in Vancouver, another location is planned for 1788 Columbia Street in the Olympic Village, with a potential opening date in the spring. The first PappaRoti opened at 1505 Robson Street back in 2014. The company has since opened locations in Montreal, Mississaugua, and Brampton, with more Canadian locations on the way.